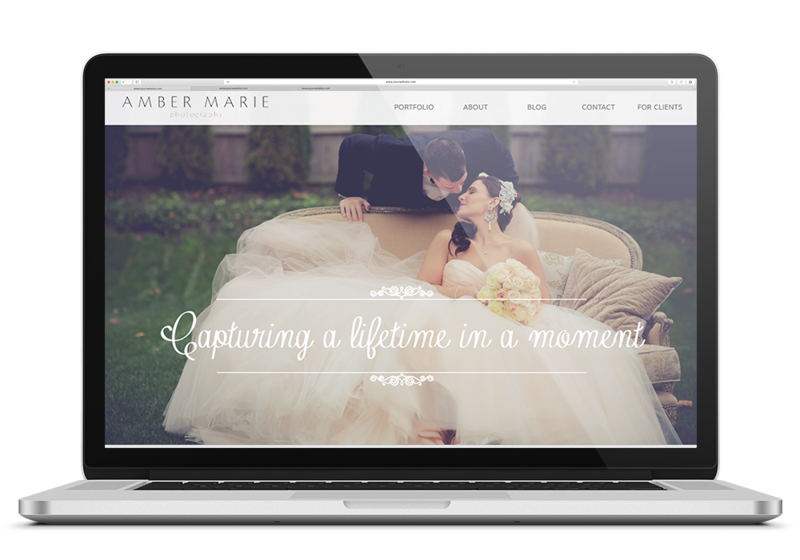 Amber Marie Photography hired me in 2013 for an update to their existing website. The project turned into an overhaul of the website when Amber told me how difficult it was to update and maintain the site. 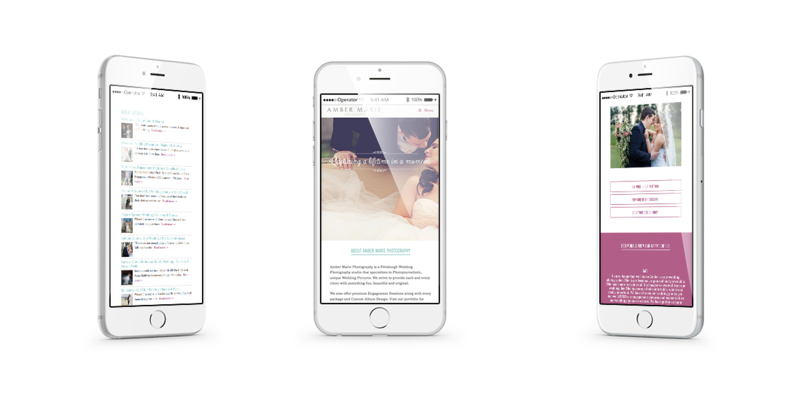 Two years later, Amber, the ultra talented owner and operator of the Pittsburgh wedding photography studio, approached me for another update–this time a complete design overhaul and to develop the site’s responsive structure. I always love working with Amber Marie Photography because they always have the most beautiful images, eliminating the need for sourcing stock content. Knowing this was a responsive site, I chose the Foundation 5 framework as a lighter weight alternative to Twitter Bootstrap. From the mobile version to the desktop version, I built out a modern site that highlights some of Amber’s best work with a couple of parallax-esque effects. Nothing too heavy to affect the page load, but interesting enough to focus a visitor’s eye on the gorgeous photographs. Compared to working with sites that combine multiple features into one, Amber Marie Photography was comparatively simple. 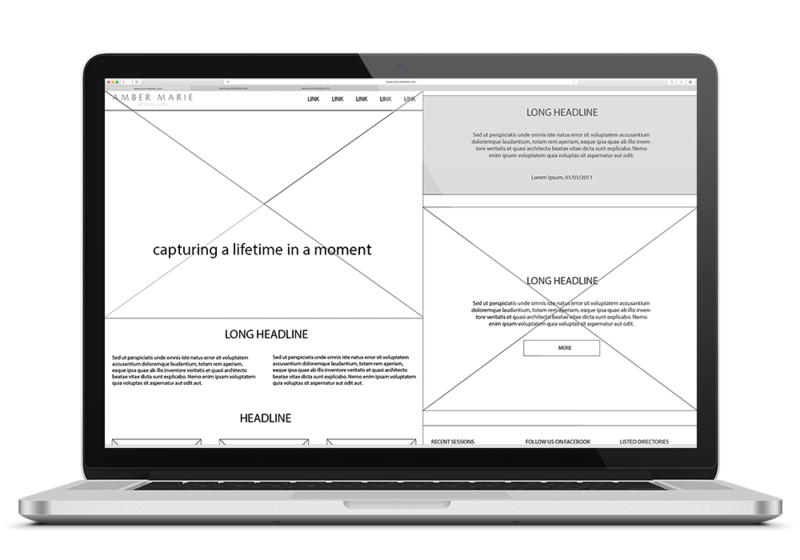 The challenge came along with how to merge a functional homepage with the show-stopping quality of a landing page. I went with large images to highlight the beautiful photography and a delicate script typeface and serif coupled with Amber Marie Photography’s brand colors. We tested out a couple of color palettes and typography choices, going from the brand’s deep blushing pink to a Tiffany-esque blue and formal serif. We returned to the pink and script to keep the styling unique but effective and relevant to the type of work and industry Amber Marie Photography services. Amber Marie Photography’s new website launched in the second quarter of 2015. With a refreshed look and some updated systems to help them connect and receive messages from their clients far more easily. Since its launch, the website has seen a 50% increase in traffic and many of their clients are using the website’s new built-in contact and estimation features.